We live, as media theorists have long agonised, in an age of oversaturation: there’s simply just too much to see, too much to take in, sort through, understand. For the New York-based painter Sam McKinniss, sifting through the deluge of mass media images is half the work. The artist, whose subjects have included Prince, Winona Ryder, and Lil’ Kim is an avid consumer of pop culture with a sharp eye for symbolism and a deep appreciation for art history. McKinniss’s charming, lucid portraits of celebrities and sometimes animals, are nearly all entirely culled from Google Images. 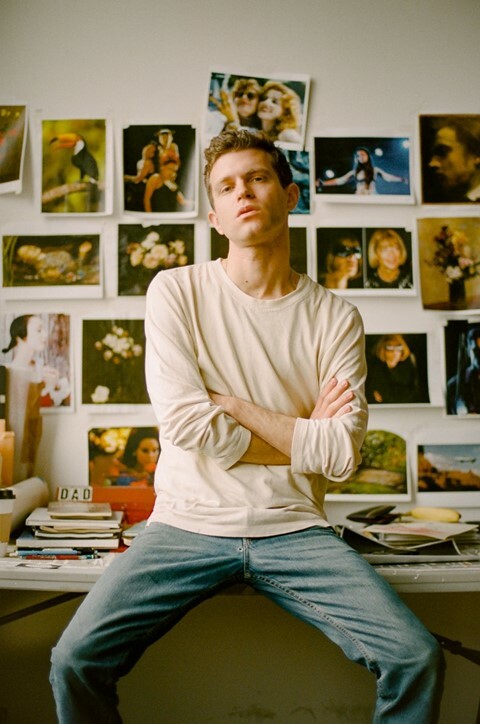 Pinned above his desk in his East Williamsburg studio are 8 ½ x 11 full-colour print-outs of Paris Hilton in silver sequins at her 21st birthday party, Geena Davis, and Susan Sarandon taking a selfie in Thelma and Louise, a profile portrait of Shelley Duval, and Molly Ringwald in Pretty in Pink. 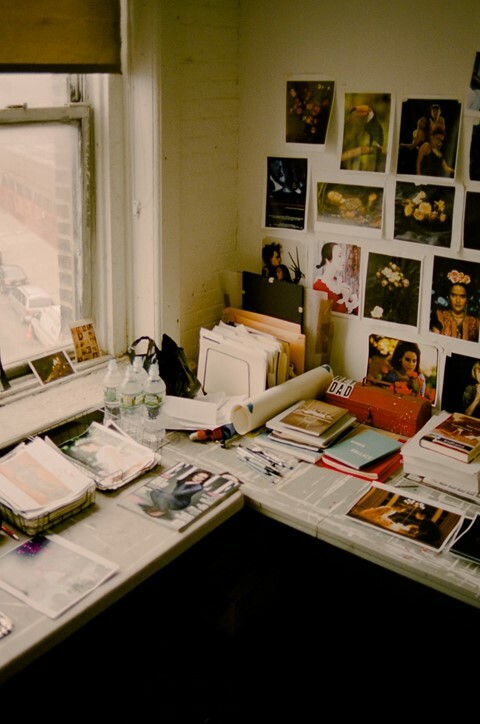 Periodically, McKinniss takes down and rearranges the printouts, which serve as both mood board and sketchbook. Everything is source material, and McKinniss is taking it all in but is decisive and deliberate in his craft. These days, McKinniss’s career is as fast-paced and frenzied as the media cycle. Last year, he worked with Lorde to paint the singer’s portrait for her debut album Melodrama, a collaboration that garnered him thousands of teen superfans, some of whom even petitioned to have his painting hung in the Louvre. Currently, he’s finishing a large portrait of Lana Del Rey performing on American Idol for an upcoming show at Mass MOCA, as well as a series of paintings for Team Gallery for Art Basel Hong Kong. America, with all its contradictions and its history of violence, is on McKinniss’s mind of late. Before working on the paintings for Daisy Chain, he read Helter Skelter and swapped true crime recommendations with his close friend Gary Indiana. “The late 1960s were extraordinarily violent in this country and where we are now, where we have been for the past few years – as an extremely mediated violent urban society – I was trying to figure out which was more, which was meaner, which was more violent,” says McKinniss. “I don’t know. I don’t know how to answer this question, but in my head, while I was making the show, I was trying to locate it specifically for the California venue, that’s what I was trying to think about, in stylish terms.” The artist’s razor-sharp understanding of American culture is informed both by this attention to history and a keen ability to predict the public social mood. But despite the sometimes droll or ironic cast of his paintings, McKinniss readily reveals his hand.